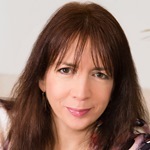 Rachel Elnaugh is one of Britain’s highest profile female entrepreneurs. Having started her working life as an office junior, at the age of 24 she created Red Letter Days, the market leading experiences brand, on a shoestring budget. Red Letter Days generated a turnover in excess of £100 million in her 16 years at the helm and pioneered the UK’s £250 million experiences sector. This earned her an Ernst & Young Entrepreneur of the Year Award in 2002, short-listing for the 2001 Veuve Clicquot Businesswoman of the Year Award and the Growing Business Entrepreneur of the Year Award in 2002. Red Letter Days’ fall into administration in 2005, after the over-expansion of the business in 2002, gained huge media exposure. Rachel wrote about her business experiences in her 2007 book Business Nightmares which was serialised in The Daily Telegraph. The timing of the book launch was fortuitous, being published at the beginning of the current recession – it has since become the survival handbook for many struggling entrepreneurs. In 2005, Rachel shot to fame as one of the original ‘Dragons’ in the first two series of BBC’s Dragons’ Den. This secured her celebrity entrepreneur status, resulting in over 300 engagements as a speaker and celebrity guest in the Enterprise Sector. Rachel has given evidence to Parliament on the development of an Enterprise Culture in the UK and has both participated in and spoken at the All-Party Parliamentary Committee for Small Business. She has acted as a judge for the EMDA Enterprising Britain Awards, the Accountancy Age Awards, the Grazia Businesswoman of the Year Awards and the National Business Awards. Rachel is a respected business mentor, an entrepreneur in residence at the British Library Business Centre and is an ambassador for the Prince’s Trust. She won the IAB’s Champion for Entrepreneurship in the UK Award in 2008 and was runner up for the SFEDI Supporter of Enterprise Award in 2009. She has launched her own unique Entrepreneurial Profiling system. Her video mentoring programme Business Alchemy received rave reviews and is already her most successful mentoring product yet.